Time to revisit another childhood holiday favorite! In prior times, I checked out programs such as The Year Without a Santa Claus and A Charlie Brown Christmas. This year I head back to 1962 to examine Mr. Magoo’s Christmas Carol. Actually, it may be a stretch to refer to Magoo as a “childhood holiday favorite”. Given its original release date, it’s not something I ever watched during its initial appearances; since I didn’t make my glorious debut until 1967, any earlier screenings would be pretty tough for me to make. When I did see it on TV in the Seventies, I liked it, but hey, I was a kid; I pretty much enjoyed all the different Christmas specials. So how does Magoo hold up to viewings for an adult? Pretty well, actually. A combination of factors mean it’ll never reach the heights of the better Christmas programs, but it offers a reasonably entertaining show. Given the fame of A Christmas Carol, a synopsis seems somewhat pointless, but I’ll provide one anyway. Ebenezer Scrooge (“played” by Mr. Magoo, who’s voiced by Jim Backus) runs his own business and is clearly a skinflint and a jerk. Isolated from others by his own accord, on Christmas Eve the misanthrope receives a visit from the ghost of Jacob Marley (Royal Dano), his old partner. Condemned to remain in limbo, Marley warns Scrooge that he’ll suffer the same fate if he doesn’t clean up his act. Scrooge initially discounts this incident, but then he receives additional visits from other ghosts. 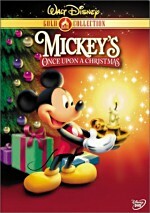 One takes him to Christmas Present, where he sees the poor but loving family of his employee Bob Cratchit (Jack Cassidy). Scrooge learns that Cratchit’s son Tiny Tim (Joan Gardner) will die without significant medical attention. From their Scrooge goes to Christmas Past, where he watches his childhood emotional pain as well as some romance and his ultimate shift from human affection to monetary gain. Lastly, the Ghost of Christmas Future shows Scrooge his own fate as well as that of Tiny Tim. When the ghosts finish with Scrooge, he changes his ways and becomes a serious party animal. This production stages Carol in an unusual way. When I indicated that Mr. Magoo “played” Scrooge, I meant it. The show starts with shots of the character on the way to a theater, and it concludes with curtain calls and other such stuff. Interestingly, I never saw those moments during my childhood screenings, apparently because stations cut those parts to allow for more commercials. Really, that’s fine, as the pre-and-post Carol moments seem odd and pointless. Although Carol suffers from some exceedingly cheap and stiff animation, it generally provides a surprisingly effective telling of the tale. A lot of the credit goes to Backus, who brings a lot of pep to his characterization. He makes Magoo’s Scrooge bitter and crotchety when appropriate, but he also adds warmth to the scenes in which his guard falls. The other performances seem more erratic, and Cassidy’s Cratchit comes across as dull, but that character’s always been a dud anyway, so I can’t really fault the actor. Despite the clunky animation, the filmmakers manage to evoke some fairly effective moments. Marley’s visit appears genuinely creepy, as are the moments that involve the Ghost of Christmas Future. In addition, we find some real sadness when we see Tiny Tim’s ultimate fate. I think Carol manages a level of depth that I didn’t expect. This adaptation largely presents the story as written, but it does take some liberties. Oddly, the Ghost of Christmas Present visits before we meet the Ghost of Christmas Past, and the tale also totally omits Scrooge’s nephew Fred. I don’t understand the motivation behind the former alteration, but the latter occurs frequently, mostly because it allows Scrooge to end the production at Cratchit’s house. Forgive me for questioning Dickens, but I think that conclusion makes more sense, and Fred always seemed like a very superfluous character to me. No one will mistake Mr. Magoo’s Christmas Carol for the best version of that story, but no one should quickly discount it either. It zips through the tale a little too quickly, but it captures all the high notes and enjoys surprisingly solid execution. Carol provides a good piece of holiday entertainment. 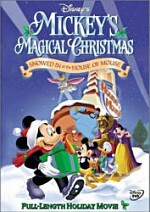 Mr. Magoo’s Christmas Carol appears in an aspect ratio of 1.33:1 on this single-sided, single-layered DVD; due to those dimensions, the image has not been enhanced for 16X9 televisions. Although the picture looked decent for its age, it presented too many problems to rise above mediocrity. Sharpness presented a modest problem. The movie never seemed badly unfocussed, but it consistently came across as slightly fuzzy. The image stayed almost accurate at all times, but the minor softness created some distractions. I noticed no issues related to jagged edges or moiré effects, and edge enhancement also caused no problems. On the other hand, print flaws became a moderate concern. The program never seemed terribly dirty, but a mix of defects appeared throughout the show. I noticed examples of grit, speckles, dust, marks, streaks and lines at various times. Again, these never became excessive, and I actually found the image to appear cleaner than I expected, but Magoo nonetheless presented more flaws than I’d like. As with much of the rest of the picture, colors came across as generally acceptable but slightly flawed. The hues tended to seem a little heavy throughout the program. They never appeared runny or messy, but they failed to capture the appropriate level of vividness and accuracy. Blacks seemed reasonably deep and rich, however. Shadow detail played a minor role in the production, but when necessary, the program displayed fairly solid clarity in its low-light sequences. Ultimately, Mr. Magoo’s Christmas Carol provided an erratic but watchable picture. Though the monaural soundtrack of Mr. Magoo’s Christmas Carol also seemed acceptable for the most part, it showed enough problems to make it a little below average. Speech presented the biggest concerns. From Magoo’s opening song, dialogue and vocals displayed noticeable edginess. This tendency never became horrendous, but the roughness made voice elements sound awfully iffy at times. Effects also demonstrated minor distortion on occasion, but they usually appeared acceptably clean and distinct, and they even offered a little decent low-end at times. Except for the vocals, music came across as surprisingly effective. The songs and score didn’t pack a great punch, but they demonstrated moderate depth and good clarity for the highs. I noticed a little background noise periodically, but that never turned into a significant concern. Overall, the audio of Magoo wasn’t terrible, but it failed to be anything notable, even when I factored in the age of the material. The first text offering provides us with A History of Mr. Magoo in Film and Television. This covers six screens and gives us a decent little look at the character’s beginnings and development over the years. Biographies of the Voice Talents features brief but useful entries for Jim Backus, Morey Amsterdam, Jack Cassidy, and June Foray. The Career Retrospective of Composer Jule Styne and Lyricist Bob Merrill presents additional text. This consists of biographies similar to those seen for the voice talent. Finally, the Original Movie Poster simply shows an ad for “Mr. Magoo’s Holiday Festival”, a theatrical pairing of Mr. Magoo’s Christmas Carol and Mr. Magoo’s Little Snow White. 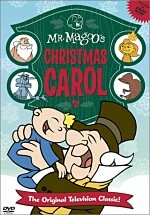 On the surface, Mr. Magoo’s Christmas Carol probably should be a cheesy and unlikable piece of work. 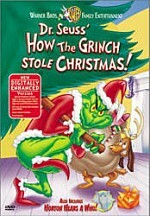 In reality, however, it provides a solid adaptation of the holiday classic. The movie doesn’t reach the level of greatness, but it usually works pretty well, and it seems quite enjoyable as a whole. The DVD presents mediocre picture and sound plus only a smattering of minor extras. Nonetheless, Carol comes pleasingly priced at less than $15, so it could make a nice addition to your Christmas collection.